Back on Market- Welcome home! 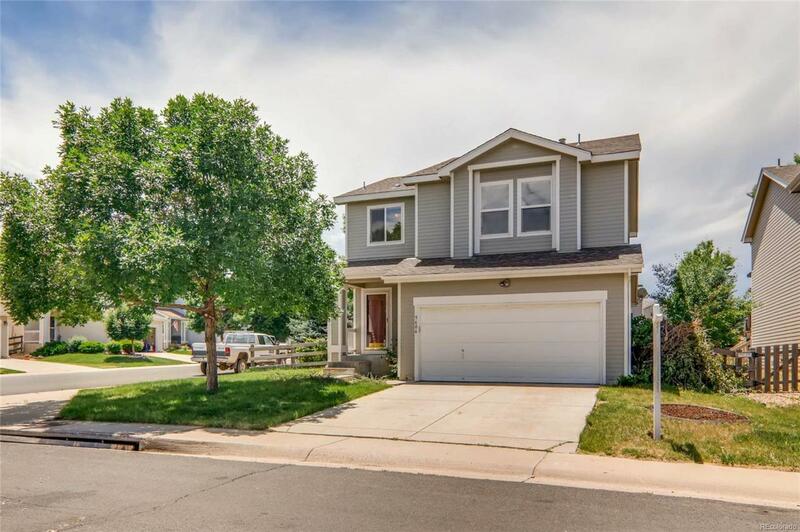 This beautiful corner lot home in Roxborough is perfect at 1,995 sq ft w/ 4 bedrooms & 2.5 baths. Fully remodeled with new interior paint, carpeting, hardware, light fixtures, stove and new 30 yr warranty roof- it is truly move-in ready! From the moment you walk into this inviting home, it welcomes you with a large, open floor plan featuring wide plank walnut floors, living room, custom kitchen w/ slab granite and eating area. Walk out to your huge private deck for entertaining with large, shaded side yard. Enjoy your RARE main floor Master bedroom with dual closets. Upstairs are three over-sized bedrooms- 2 with walk-in closets, office AND spacious laundry room. Experience Roxborough State Park for hiking, Waterton Canyon for hiking, biking and fishing and Chatfield State Park for camping and water sports only minutes away! Only three minutes from shopping and dining and 6 minutes from Lockheed Martin campus.